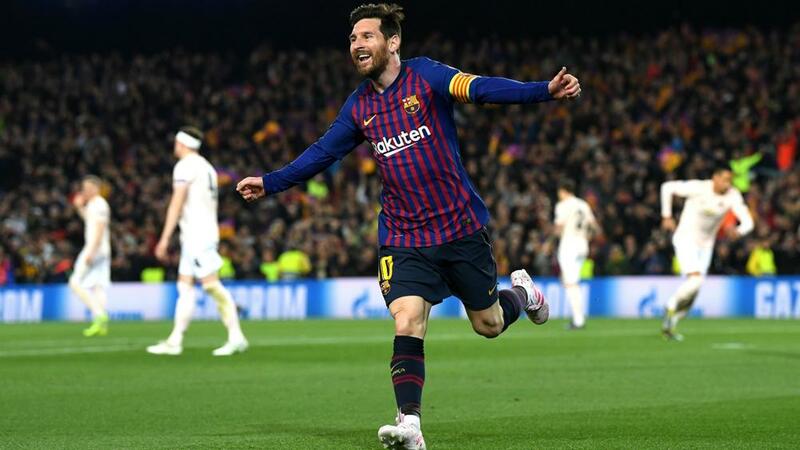 Two goals from Lionel Messi helped Barcelona to a 3-0 defeat of Manchester United on Wednesday (AEST) and a 4-0 aggregate triumph in its UEFA Champions League quarter-final tie. With a 1-0 advantage from the first meeting at Old Trafford, the Catalan side took command inside the first 20 minutes thanks to a double from its number 10, the second of which owed plenty to a dreadful mistake from David de Gea. Ole Gunnar Solskjaer named an attacking line-up featuring Anthony Martial, Jesse Lingard and Marcus Rashford, but the blow of those first-half goals seemed to drain any hope of repeating the kind of performance it produced to stun Paris Saint-Germain in France in the last 16. The tie was firmly put to bed by a sublime goal from Philippe Coutinho, who may get the chance to face old club Liverpool in the semi-finals if it sees off Porto on Thursday (AEST). Marc-Andre ter Stegen made a magnificent 90th-minute save from substitute Alexis Sanchez, but United was well beaten and must now fight to turn around its recent form after a fifth defeat in seven games in all competitions.